Amelia and James are married in Cohasset, Ma. Amelia and James met online via a dating site called eHarmony and had their first date on Hanover st. in the North End of Boston. You may remember them from the freezing cold engagement session I did with them in and around the North End earlier this year. Check out those photos here. This fun & creative couple did most of the planning for the wedding themselves, and included touches from each of their cultures to produce a beautiful and memorable day. Rings for the couple were custom made in Boston with both Polynesian and Celtic design. James and his brother John adjust ties at the Nantasket Beach Resort where they spent the night before the wedding. With her dress hanging in the background, Amelia gets the finishing touches to her makeup by Francesca Bianco a freelance makeup artist who also works at Adara Spa, in the North End owned by Amelia. 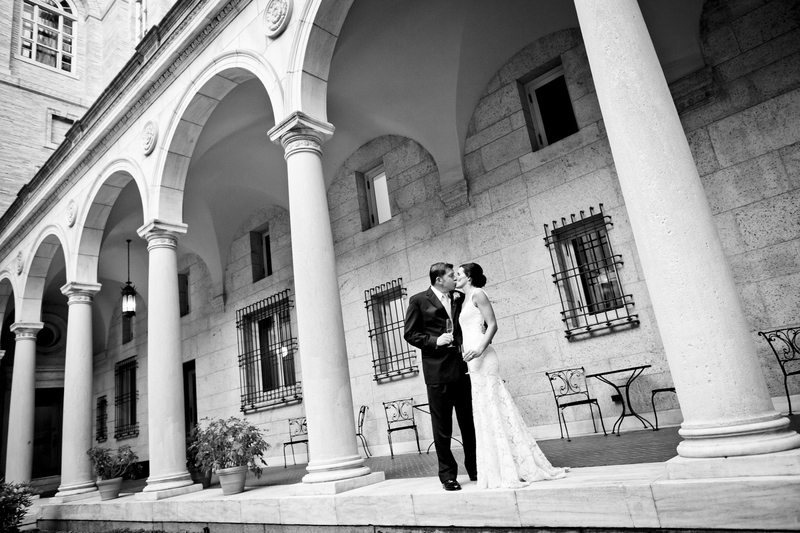 I had the pleasure of photographing Alison & Brian’s beautiful wedding at the Boston Public Library.